Samsung is up next here at CES 2018! 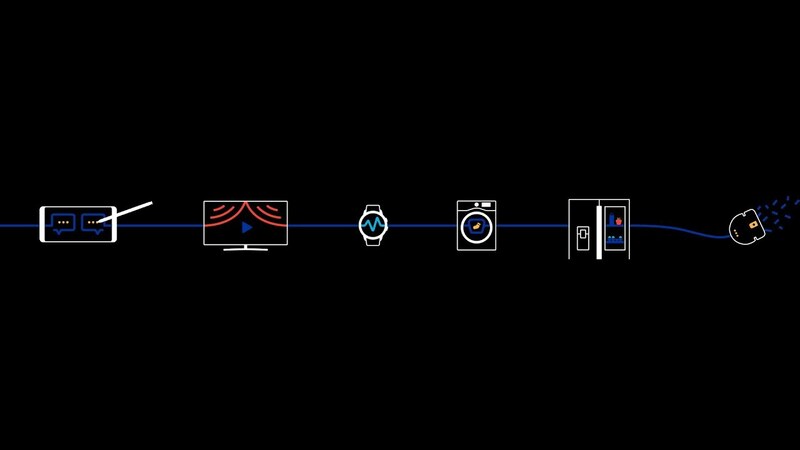 Their press event is sure to be filled with TVs and fridges and appliances and talk of how they’ll all play together with AI and other tech smarts and Bixby and all that. Think of it as LG’s press event from this morning all over again, only on a bigger stage and with a handful of extra people in attendance. This is Samsung, after all. We shouldn’t expect a bunch of phone announcements, as Samsung will hold off on that fun until later this year, possibly next month. We could get a shot of a new smartwatch, though, as is suggested by the teaser image for today’s press event. Either way, I’m sure Bixby will be there to cheer you all up. The event starts at 2PM Pacific (5PM Eastern). You can watch it live at the top of this post.